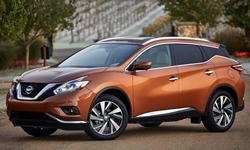 Nissan: 2013-2015 altima, murano, rogue(t32). configuration must be performed on the selected vehicles when an abs control unit is being replaced. *lj updated 9/10/15. Intelligent key battery voltage check and replacement this bulletin has been superseded by ntb15-077. nissan; signal tech-ii intelligent key battery test and signal check please discard previous versions of this bulletin. Nissan; procedure to clean cvt transmission fluid coolers this bulletin has been amended. the applied vehicles section has been revised. no other changes have been made. please discard previous versions of this bulletin. Power moonroof initialization service information this bulletin has been amended. the appplied vehices section and step 3 on page 3 have been revised. no other changes have been made. please discard all previous versions. Navigation symptoms when sd card is missing or wrong card installed this bulletin has been amended. changes have been made throughout. please discard previous versions of this bulletin. Av control unit replacement this bulletin applies only to vehicles equipped with navigation. this bulletin has been amended. changes have been made throughout. please discard previous versions of this bulletin. Navigation symptoms when sd card is missing or wrong card installed this bulletin has been amended. the applied vehicles section has been revised. no other changes have been made. please discard previous versions of this bulletin. Enhanced diagnostic logic for cvt this bulletin has been amended to add model years to the applied vehicles and part numbers to table a. no other changes have been made. please discard all previous versions of this bulletin. Power back door calibration the applied vehicles in this bulletin have been amended. no other changes have been made please discard previous versions of this bulletin. 2013 ? 2016 altima and 2015 ? 2016 murano; occupant classification system retrofit this bulletin has been amended. pages 18 and 21 have been revised. no other changes have been made. please discard all previous versions of this bulletin. All model year 2012 and newer nissan vehicles; evap leak dtc p0442, p0455, p0456 information this bulletin has been amended. the title has been revised, and the bulletin now includes vehicles in production as of the date of this update.